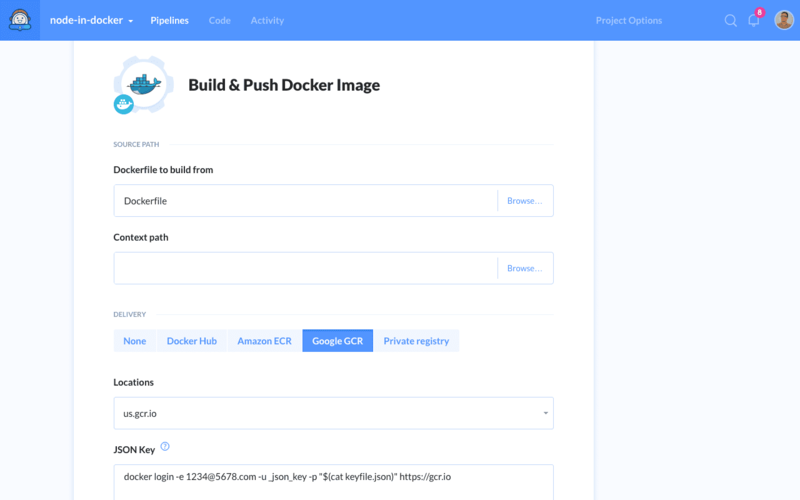 Buddy lets you build Docker images of your applications and push them to Docker Hub, Amazon ECR, and private Docker registries. We’re happy to announce that from now on you can build and push your images to the Google Container Registry as well. Google Container Registry is a private Docker container registry where developers can store, manage and deploy Docker container images. Running on the Google Cloud Platform, the registry allows developers to deploy the images further to Google Container Engine Clusters or Google Compute Engine VMs over the Andromeda network virtualization stack. With Buddy you can automate building and pushing the images by creating a pipeline in automatic mode with the Build Docker Image action. NOTE: Authentication is performed on the basis of a JSON key file.